My wife and I recently spent a week here and loved it. The location was great, a short walk to the beach, and just over a kilometer to Holetown. The condo was excellent and had everything we would need for our stay. The hosts were also very helpful and were a pleasure to deal with while we were organizing our stay. Overall we loved our stay and would stay here again in a heartbeat. It is our second visit to this fabulous property, from being picked up at the airport the experience was all good, it was quite late when we arrived at the house but we were still greeted and shown around. The location is great for the beach and getting into Hole Town. Would we go again? We can't wait. 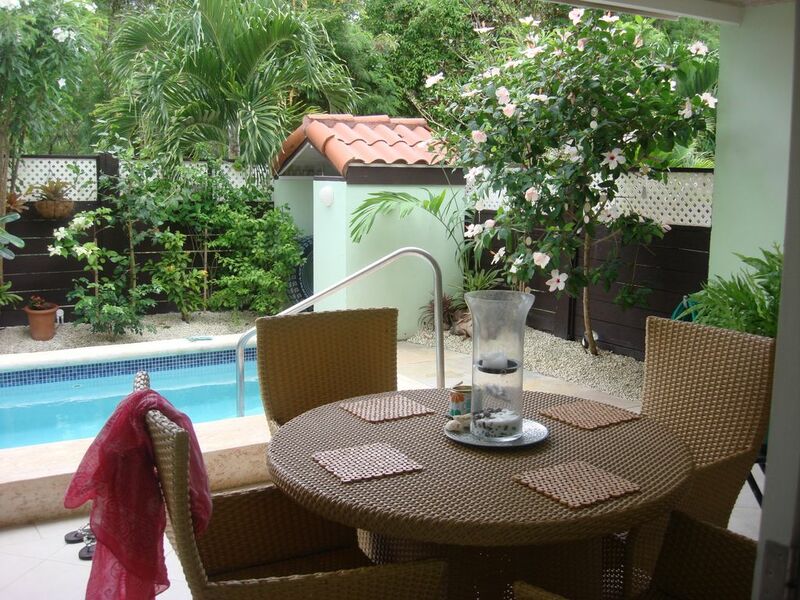 Great house on a nice gated compound within walking distance to Holetown and 10 min walk to beach. Really helpful owners and local property manager. Highly recommended! We have just returned from the most wonderful 2 weeks at Porters Gate. Richard and Wendy have been really great to deal with throughout. They have been very helpful, quick to respond and our booking experience with them has been first class. The property itself was perfect for our needs - lots of space, really comfortable and very well equipped. Richard kindly arranged for airport transfers for all of us and it all worked out well. The house is in a quiet residential complex about 15 minutes walk from Alleyne's Bay - one of the best beaches on the island. We spent many a happy day there, sunbathing, enjoying the banter with the chaps on the beach and having a few drinks from JuJu's bar whilst watching the most glorious sunsets. One of the chaps on the beach (Patrick) owns a small boat and he took us up to Speightstown so we could swim with turtles in peace and quiet rather than booking a trip down south with all of the other tourists. Well worth the money to have the boat (and turtles!) all to ourselves. We had great food (as usual) when visiting Harlequins down in St Lawrence and also at the Waterfront Café in Bridgetown )we ventured there one evening for their jazz night, which was good fun). In summary, we had a perfect holiday, based in a wonderful property. I would have no hesitation in recommending this place. The house is perfect. Lots of space, well decorated and with everything anyone could wish for. We spent most evenings sitting on the terrace by the plunge pool. The bedrooms are very comfortable and each has an en-suite bathroom. The open plan kitchen, dining, lounge is very airy and well equipped. Each day we either walked to Alleyene’s Bay, to Holetown or caught a reggae bus into Bridgetown. A wonderful 2 weeks away from a cold and wet UK. The booking process was very easy and the owners, Richard and Wendy, kept in regular contact before the holiday and also whilst we were staying at the house. They were a delight to deal with and responded very quickly to any questions. Overall, probably one of the best holidays we have had in Barbados! Richard and Wendy were easy to communicate with from start to finsh including during our stay. 2 bedroom house about a mile north of Holetown and easily walkable or minutes by local bus. The house is positioned in a secure and gated complex. It has a plunge pool in a private rear garden and the property has two bedrooms and both ensuite. All the facilities are available at the house including washing, cooking and fully serviceable kitchen. It's like home from home and all the comforts. It's kept very clean and serviced extreme well. There is a TV set in the house with access to sport. It's a relatively short walk from the beach and off the main road, which makes it accessible yet quiet. The pool is cleaned each week and the house is also cleaned and together with exchange of towels and sheets. It's in walking distance of JuJu's a beach bar and 'The Loan Star' restaurant. It's also within a short bus ride of Holetown where you will find bars, restaurants, Lime Grove for shopping, Maceys supermarket and surf side, another beach bar with TV screens for sports and cheaper prices. You will also see some terrific sunsets whilst sipping cocktails and Banks beers! It's also close to Carizma on the Hill on the Westmorland estate and Cafe Bar Carizma near the Chatel village. 9 Porters Gate is a great place to stay and one I would highly recommend for a couple or family to stay! One weeks rental period is classed as 7 nights. A 25% deposit is required to book the property with the remaining balance due 55 days prior to departure. A £200.00 security deposit is also required which will be returned 7 days after your holiday less any breakages / damages. As mentioned electricity IS NOT included in the basic rental price and will be deducted for the security deposit. PLEASE NOTE: We do not offer a cancellation policy and any monies paid will not be refunded. We urge all guests to take out insurance to cover all eventualities and we will more than happy to provide written confirmation that you did not proceed with your booking and generally assist in any way we can in this matter. Checkout time on your departure day is 12.00 noon.